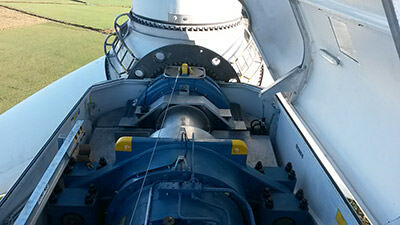 Whether on-shore or off-shore, Barton install, test, repair, inspect and service high performance, durable fall protection systems for use during construction, operations and maintenance right through to the decommissioning of wind turbines. 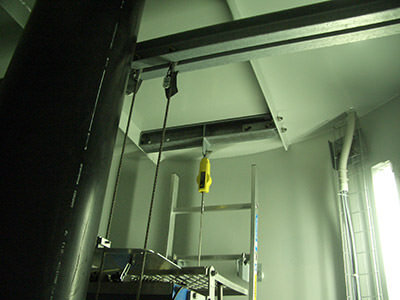 Solutions are designed to ensure systems can be used in conjunction with lifts and climb assists. A vertical cable-based fall protection system allows a hands-free unhindered solution for ascending the ladder within a turbine, suitable for both new build and retrofit. 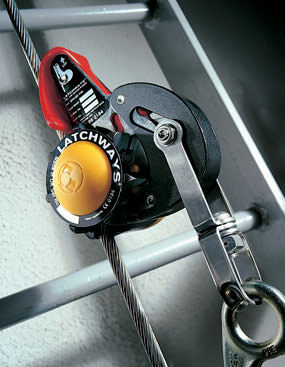 The Latchways system has been designed to be used with the TowerLatch® unit—a device that secures the climber to the cable via the chest D-ring on their harness. In the event of a fall the device immediately locks onto the cable and a built-in webbing strop then facilitates a rescue using the cut away technique. Latchways plc has successfully tested its vertical fall protection products in accordance with the European Standards EN 353-1:2014 and American Standard ANSI Z359:1 2007. In addition, Latchways has performed additional tests recommended by both the HSE and RenewableUK (formerly BWEA) – these tests were conducted at TUV/NEL.